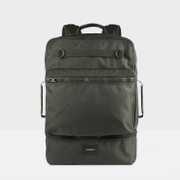 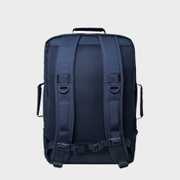 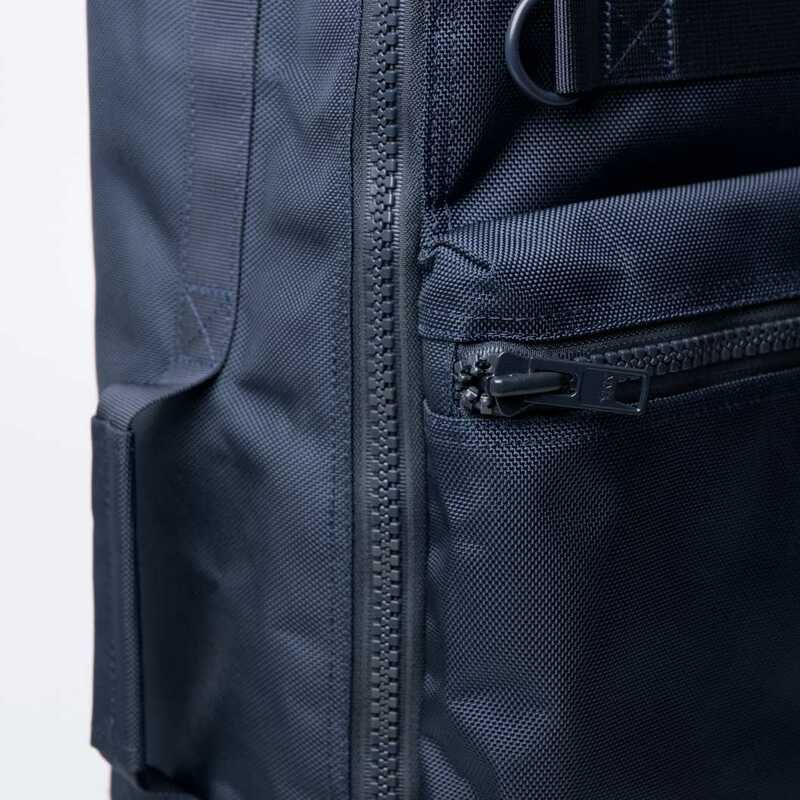 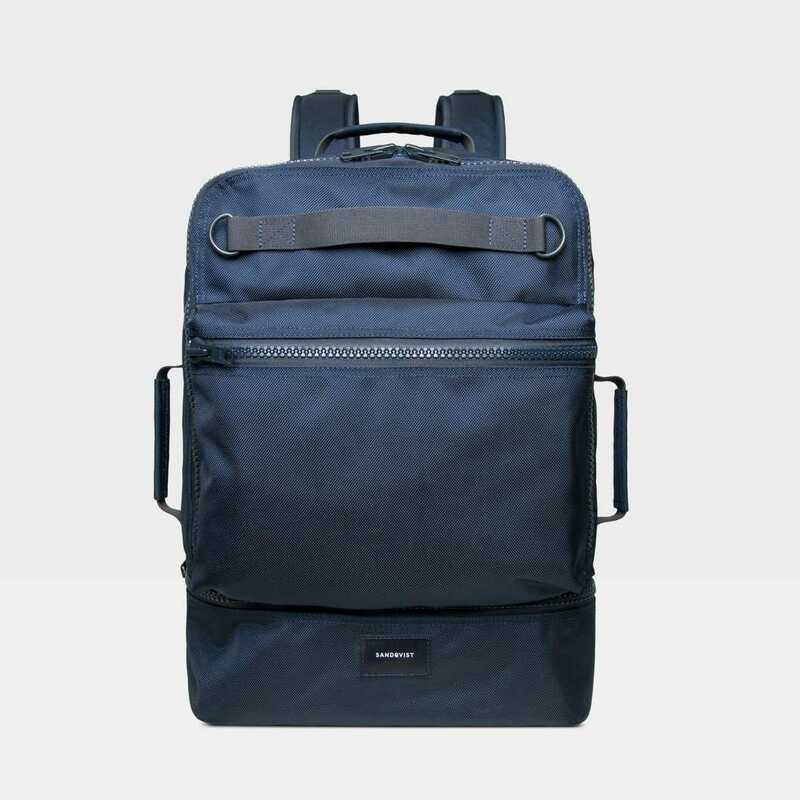 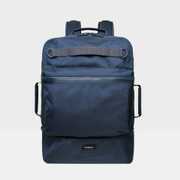 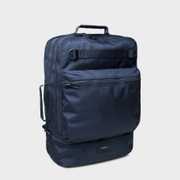 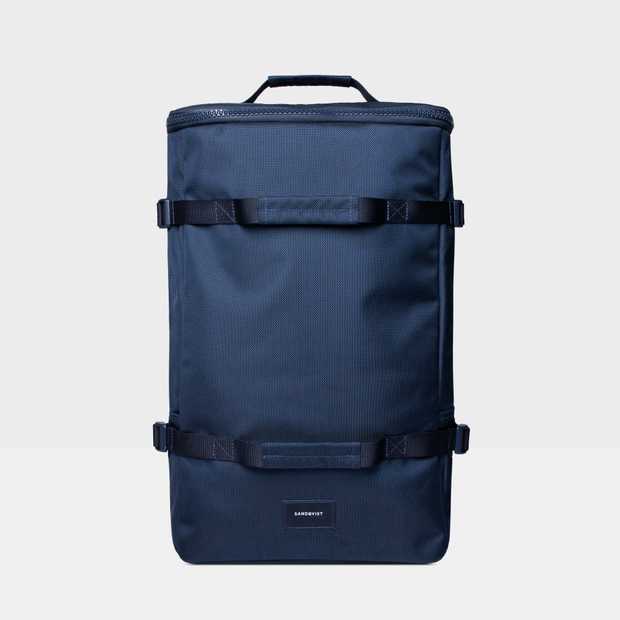 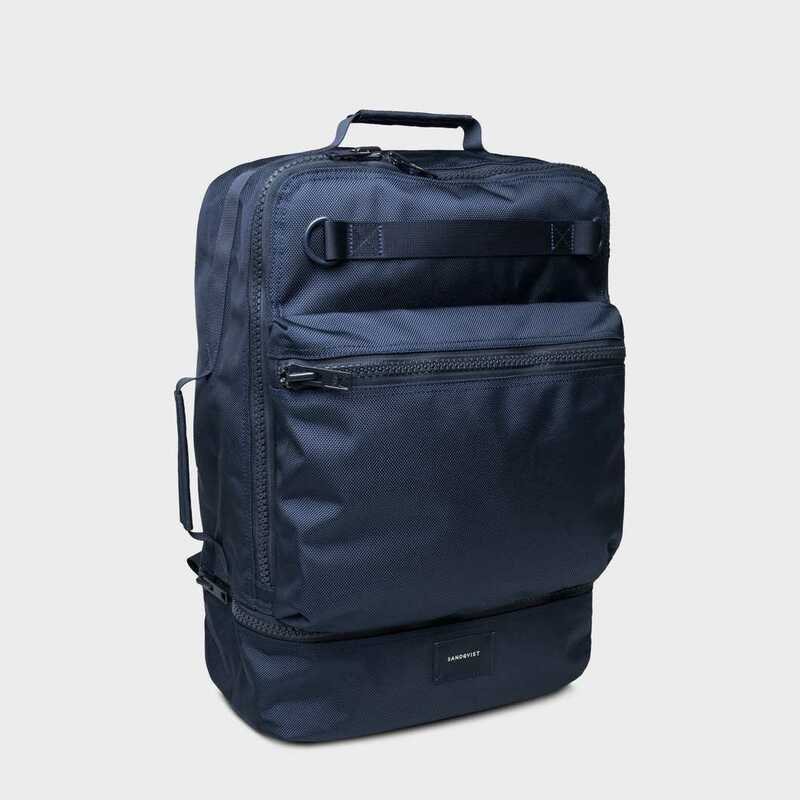 Functional backpack sealed with a YKK® zipper carrying up to 25 L. The highly durable 1680 denier ballistic fabric that is made from 100% recycled polyester makes the bag very durable and water resistant. 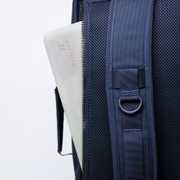 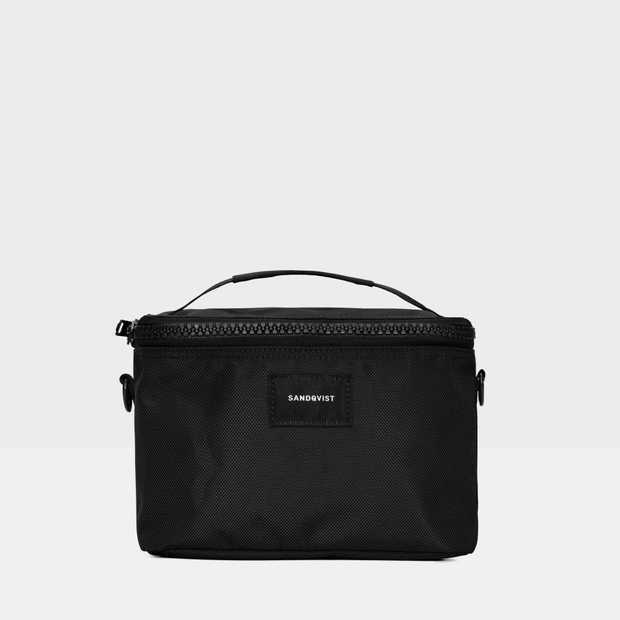 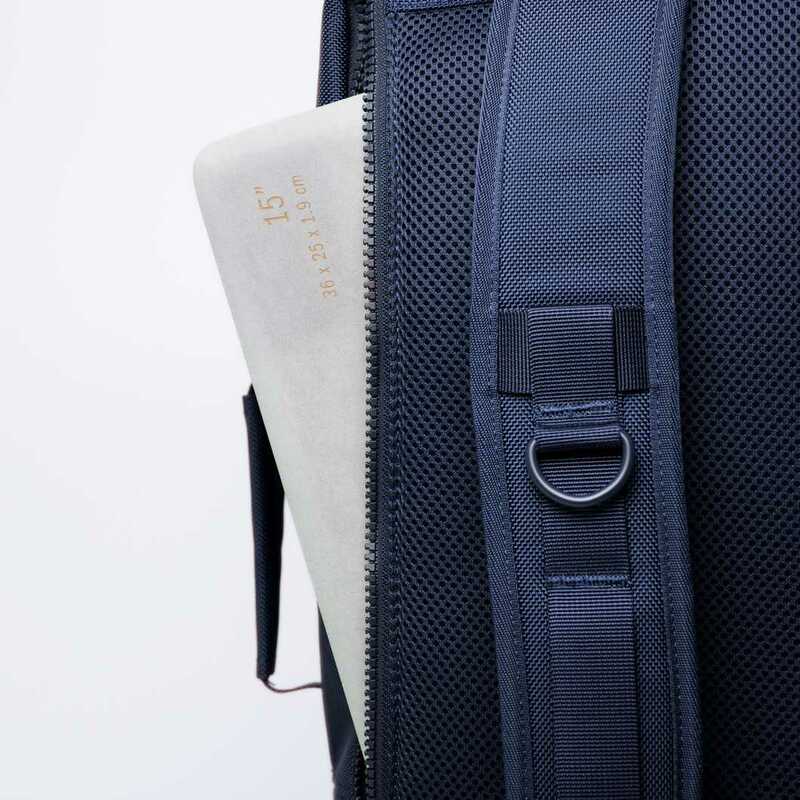 The bag features a 15'' laptop sleeve, one outer zipper pocket to help you keep your things organized. 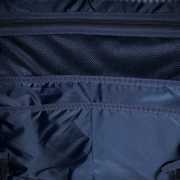 A shoe compartment on the bottom of the bag helps you separate gym clothes from lunch boxes. 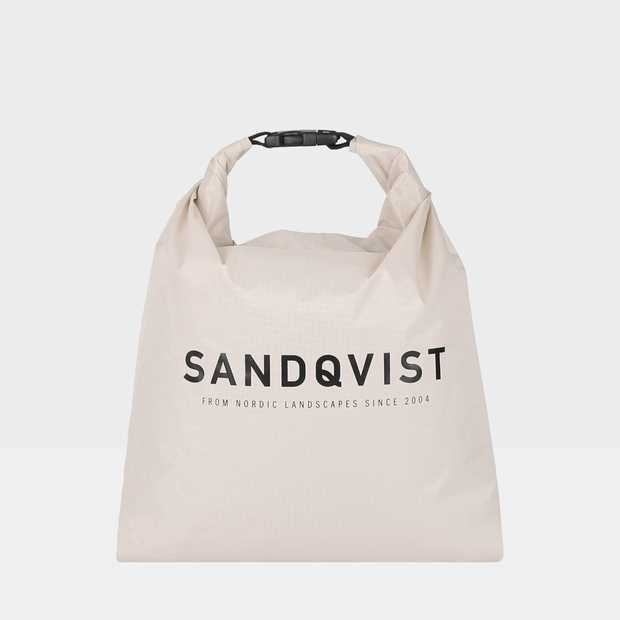 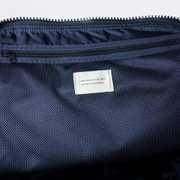 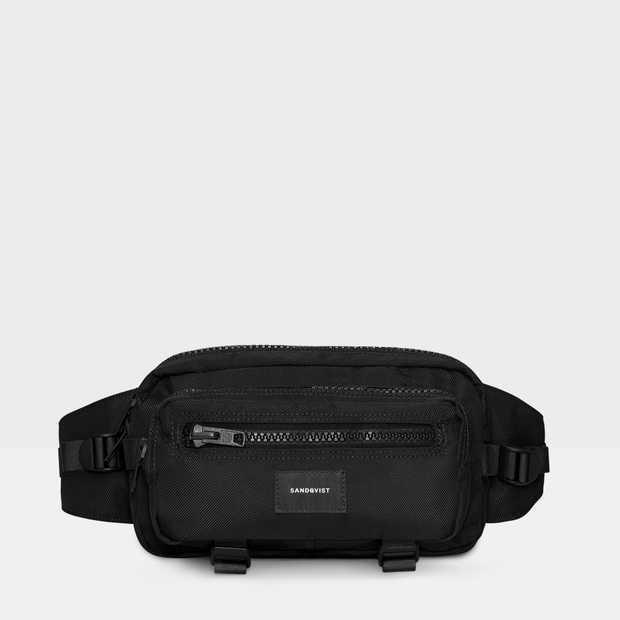 The inside of the bag is lined with 100% recycled polyester in navy and features two inner slip pockets and two inner zipper pocket in mesh. 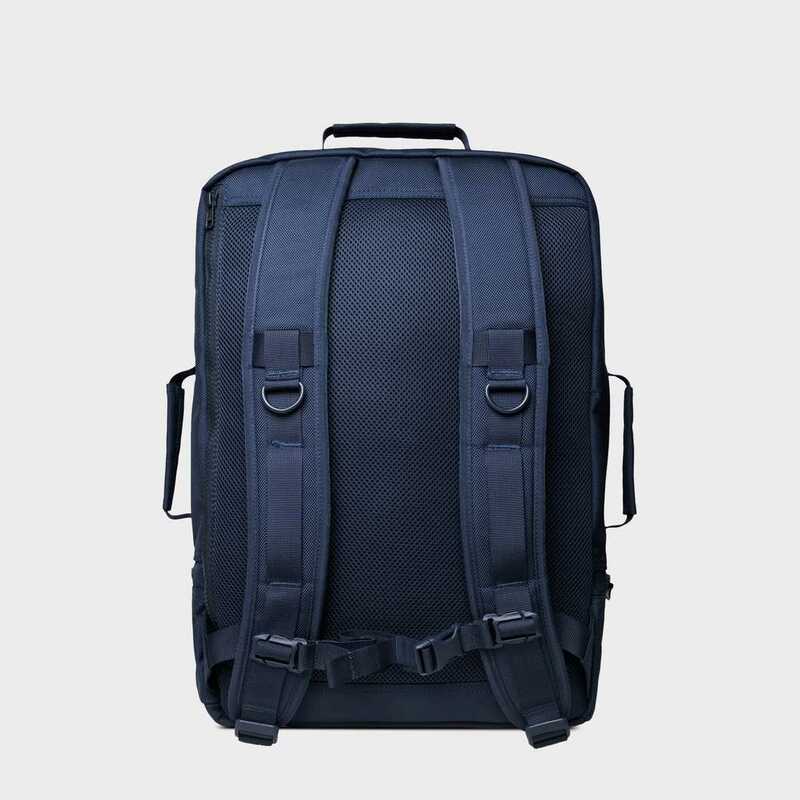 The bag comes with adjustable shoulder straps with padding and mesh and a removable sternum strap for comfort when carrying heavy. 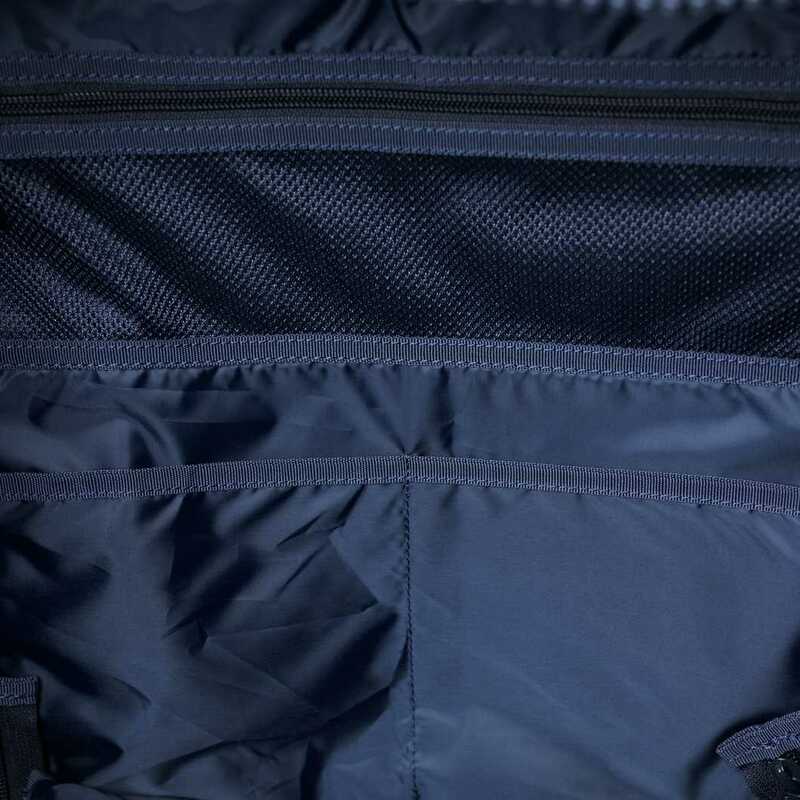 Material: Highly durable 1680 denier ballistic fabric, made from 100% recycled polyester. 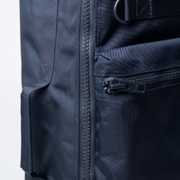 YKK® Vislon zipper. 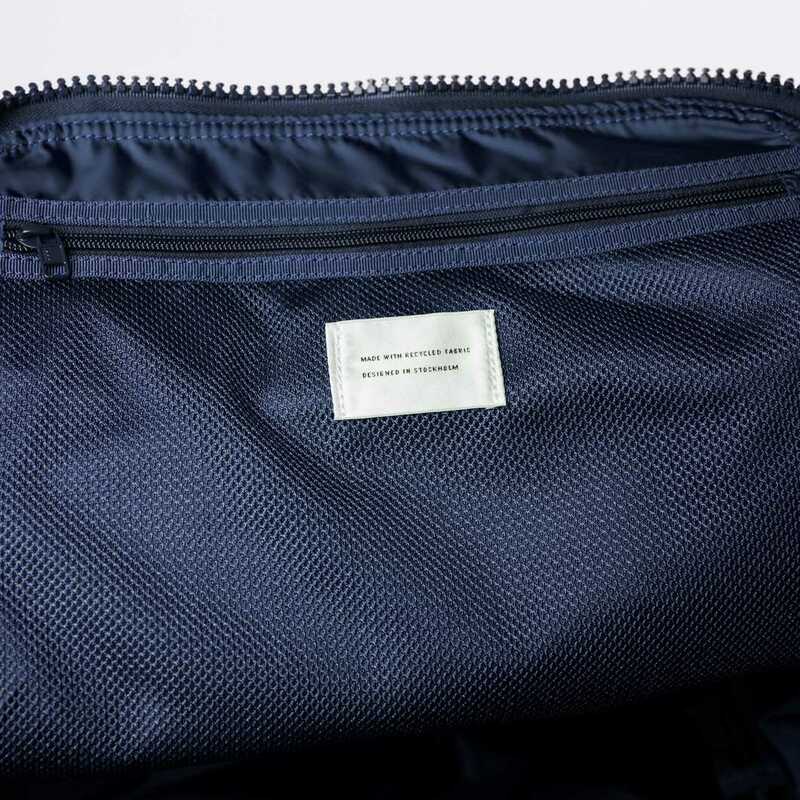 Lining in 100% recycled polyester.